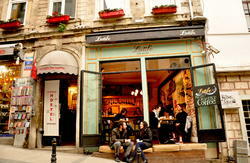 Mavi Guesthouse is a small, friendly guesthouse located in the heart of Sutanahmet, Istanbul. 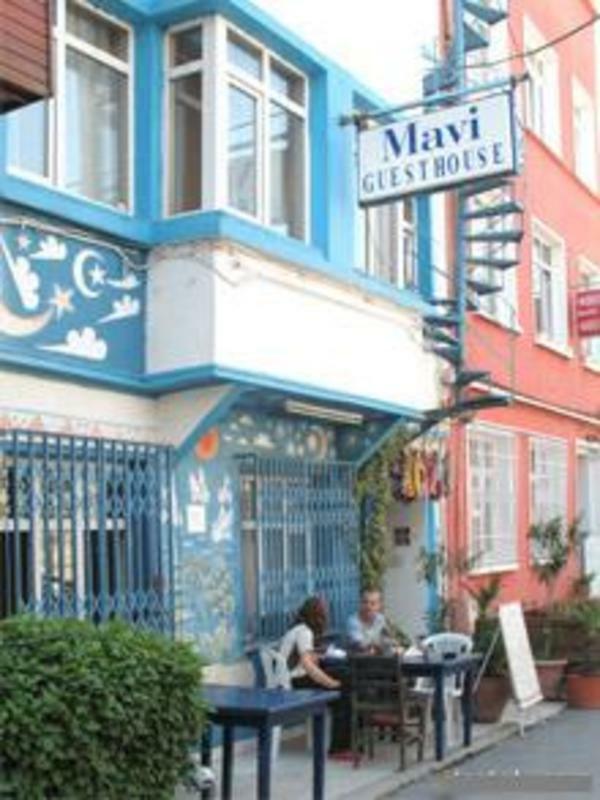 With a friendly environment and helpful staff, your stay at Mavi Guesthouse will make your visit to Istanbul an experience to remember. Centrally Located - Located in the heart of Sultanahmet, we are just a few minutes walk from the Blue Mosque, Hagia Sophia, the Underground Cistern, Topkapi Palace, and only ten minutes from the Grand Bazaar. Easy Transportation - We are located near to tram stops, bus stations, ferries, and airport shuttle stops, making it easy to get to all of the sights of Istanbul and beyond. !!!!!!! Choice of Accommodation - We have accommodation varying from private rooms- to dorm beds- to ROOFTOP sleeping, so there will certainly be something to match your TRAVELLERS BUDGET Our rooftop dorm has 25 bunk beds, so if you have a large group and pre book it would be ideal. The rooftop has shower and toilet facilities. 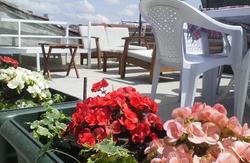 We are the only hostel with a large rooftop dormitory and the view of Hagia Sophia is awesome. Breakfast is included with all accommodation, so you can start your day breakfasting and chatting with fellow travelers whilst sitting outside on our terrace. Friendly Staff - We can help arrange tours in both Istanbul and all around Turkey, provide helpful tips and information about the city, and help with any other of your travel needs. 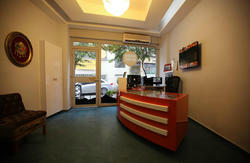 We are here to make your stay enjoyable and hassle free. We will even teach you to play backgammon like a pro! Internet and Telephone - We have computer, telephone, and fax services available for a nominal fee. We also arrange airport transfer for 20 euro before 23.00 , 25 euro after 23:00 / if you would like to have this service please let us know about your flight details.